There is a rich American democratic tradition of carrying on with campaigns and elections in challenging moments. Des Moines—It will be a more sober and serious Democratic presidential debate that plays out tonight in the capital city of this first-caucus state. The horrific violence that has left more than 125 dead, and that French President François Hollande on Saturday characterized as “an act of war that was committed by a terrorist army, a jihadist army,” will necessarily alter the focus and tenor of the discourse. 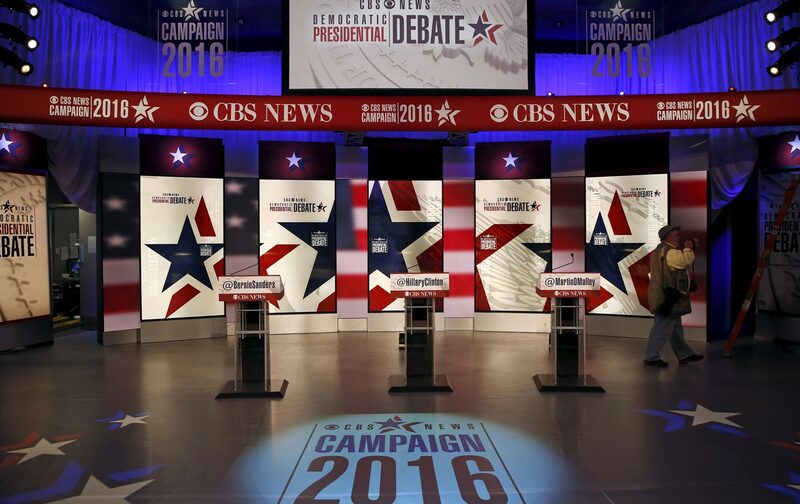 Yet CBS News, the Democratic National Committee, and the three remaining contenders for the Democratic presidential nomination have, of course, made the right decision to go ahead with what will be only the second of the party’s debates. “This is exactly what the president is going to have to face,” Capus told The New York Times. It is not just leadership that is put to the test. The democratic process by which American leadership is chosen is always being tested. The American democratic process is complex and cumbersome; it has flaws and faces challenges. Yet, it also has great strengths, and one of them is a tradition of carrying on in the face of adversity. Americans have waged campaigns and held elections in the most difficult and demanding of times. The elections of 1812 and 1814, of 1862 and 1864, were held in times of war at home. Elections were held during World War I, World War II, the Korean War, the Vietnam War, and the Iraq War, during the Cold War and in the immediate aftermath of the Cuban Missile Crisis. A debate is just one stop on a long campaign trail. And sincere commentators might argue that the debate in Des Moines could have been rescheduled—indeed, that it might have been fairer to the candidates and the discourse to move things around. But DNC chair Debbie Wasserman Schultz made a good point when she said after the Paris attacks that there was “all the more reason to have a discussion” about issues of war and peace and homeland security. This is, in particular, a time for the candidates to discuss the balance that must be struck in seeking both to keep Americans safe and to maintain their freedom. That’s nothing wrong with that, especially if the candidates are pressed to get beyond talking points and to explore the complexities of those questions. Focused debates that explore issues of the moment are appropriate, and instructive. Nor would there be anything wrong with expanding the debate schedule to provide opportunities to further explore those issues—and to discuss the issues that might not be touched on tonight. Just as a determination to face issues in the moment is a strength of the American democratic process, so, too, is a willingness to open up and expand that process.